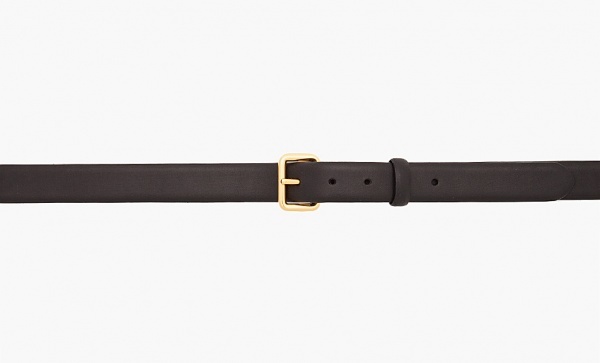 Marc by Marc Jacobs goes lo fi with this basic leather belt, a great way for you to keep yourself stylish and simple. Made in Italy, this black leather belt is a simple thin belt that works in the office or on your off day. A simple black leather design, with gold tone buckle, you can find the belt online here. This entry was posted in Accessories, Belts and tagged Italy, Marc Jacobs. Bookmark the permalink.